What’s a ‘Designer House’ anyway? 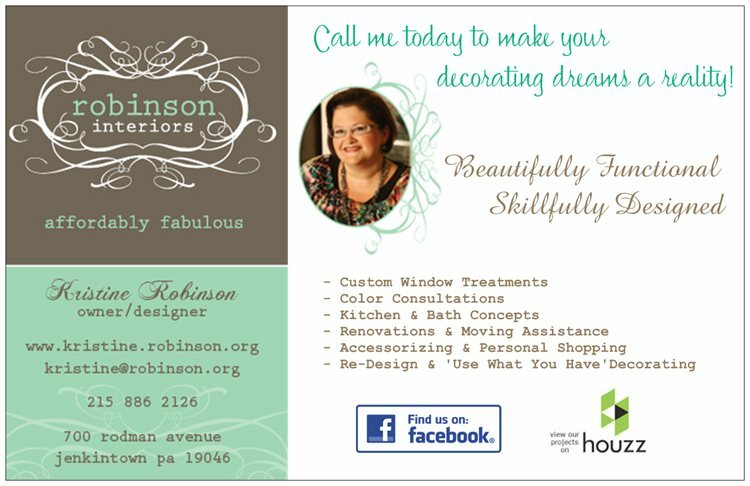 A Designer House is a benefit or charity fundraiser in most cases. The Bucks County Designer House (BCDH), in which I’m currently participating, has been doing these benefits for 39 years now…it’s an extremely lucrative venture! Money comes from ticket sales, parties/events, and, of course donations. The BCDH mostly donates its revenue to specific projects at the Doylestown Hospital, but there are all types of beneficiaries: Symphonies, SPCAs, Boys & Girls Clubs, etc. This year’s designer house is called Serendipity Farm. My room is the lovely sunroom seen on the lower left of the home in this photograph. In addition to the interior renovations, the gardens will also be transformed during the designer house. Basically, a Designer House is a mansion/estate, which is often on the real estate market (although not always). The owners allow the Designer House Committee to take over their home for several months–generally a minimum of 3-5 months in my experience. During this time, interior designers and landscapers are invited to transform the home at their own discretion (and expense!). Each designer (and landscapers too, in the case of BCDH) is invited to preview the house in October. Designers who would like to participate create a design inspiration board and bid on a numbered space in the house of his/her choice. A design board for one of my past Designer House rooms, which was submitted and selected for the 2011 BCDH. After review by a selection committee, designers are awarded rooms sometime in January, based upon their submitted design and their experience/history with the organization. It should be noted that well-known and larger firms are often awarded the premium first-floor and other large rooms (like the master suite, for instance). This is not just favoritism on the part of the committee, It's often these firms that can actually afford to implement a beautiful design (Designer House rooms cost a LOT of money and time to furnish and accessorize! ), and these prominent firms can be trusted by the committee to complete the work in a timely and consistent manner. After notifying the designers of their awarded spaces, the BCDH hosts an empty house party which invites the public to attend a cocktail reception and silent auction, while viewing the home in its unadorned state. The designers are on hand at this lovely event to share their vision for their space. Then it’s just a day or two later the real work begins as designers are allowed into their spaces to begin completing the actual behind-the-scenes work of the Designer House. 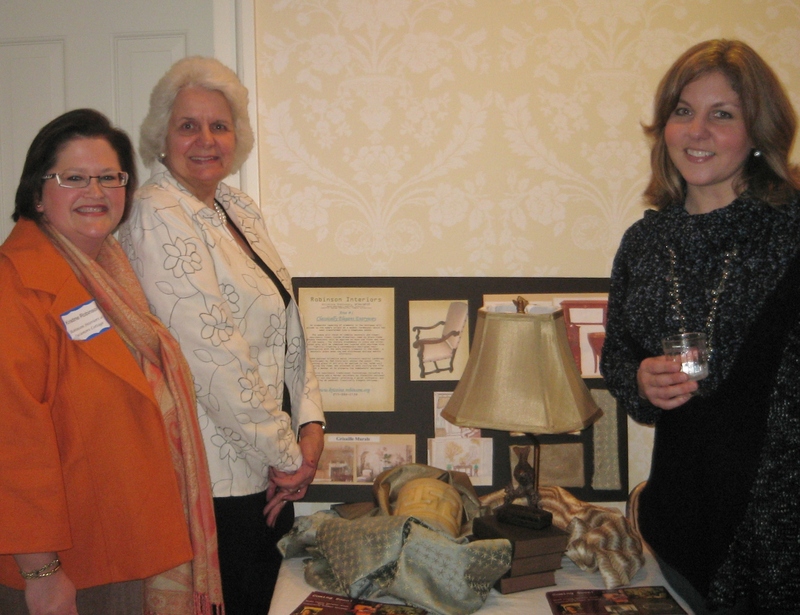 My workroom/seamstress, decorative painter, and I at the 2011 BCDH Empty House Party. All this effort finally culminates in the Designer House being open to the public for tours. BCDH is open the entire month of May, in most cases. 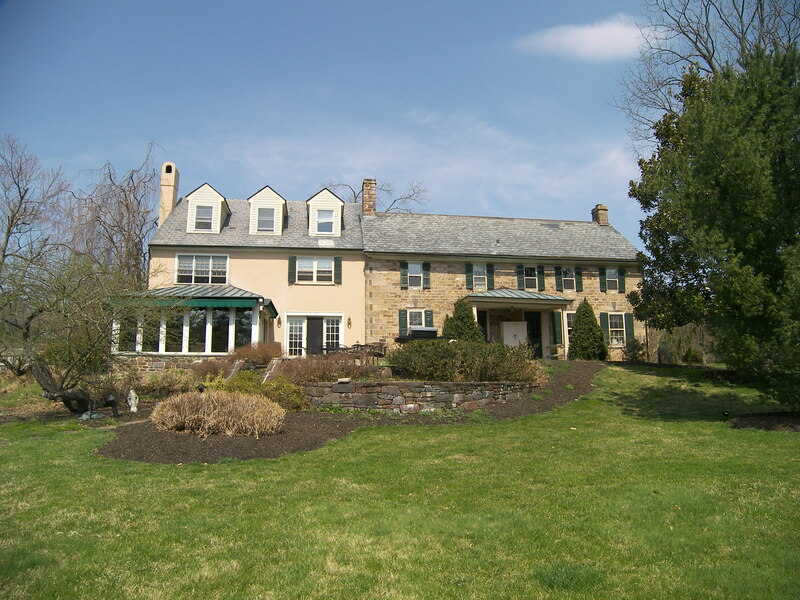 Spring in Bucks County, PA is the perfect time to see lovely gardens and attend the house tour. Ticket sales and special events held throughout the month bring in the much-needed funds for charity. The BCDH Committee also plans fashion shows, luncheons, and lectures for interested attendees, and Mother's Day is one of the most visited days during the Designer House. I'll share more about 'Designer Houses' in future posts. Stay tuned and please tell everyone about Kristine Robinson's Blog. I need all the friends I can get! This entry was posted in Benefit, Bucks County, Charity, Decor, Decorating, Designer House, Farm, Gardens, Home, Home Decor, Interior Design, Pennsylvania, Renovation, Uncategorized and tagged Benefit, Bucks County Designer House, Charity, Decor, Decorator Showhouse, Designer House, Events, Fundraiser, House Tour, Interior Decorating, Interior Design, Serendipity Farm, Tour. Bookmark the permalink.